Board Bateaux Dubai for a luxury evening cruise and dine in style as you glide seamlessly down the historic Dubai Creek. A unique sightseeing experience from start to finish, feast on a gourmet a la carte dinner. Freshly prepared onboard, first-class chefs will treat your taste buds to an outstanding international meal. Sip on a selection of beverages as you tuck into your meal, and relax as you make the most of the evening down Dubai Creek’s beautiful waterways. Relish a stunning four-course meal on Bateaux Dubai. Take in stunning views of the historical Dubai Creek. Enjoy a wide selection of soft beverages and house beverages. Bateaux Dubai reserves the right to refuse service. Smoking indoors is not permitted, however, guests are welcome to smoke on the outdoor decks. All extras, for example (but not limited to) beverages, must be settled by the guest before disembarking the vessel. Dinner cruises take place aboard a vessel navigating in tidal waters and the guest undertakes and agrees by making this booking that they must take special care of their personal safety in this environment, immediately comply in full with all instructions of the deck crew and take care of their own personal belongings. Bateaux Dubai LLC shall have no liability whatsoever for the loss of or damage to personal belongings or death or injury to guests unless the direct result of gross negligence or willful default. Bateaux Dubai LLC reserves the right to refuse or eject from the vessel such guests who do not conduct themselves with propriety in accordance with the cultural, religious and social norms of the United Arab Emirates, or fail to comply with the reasonable instruction of any Bateaux Dubai LLC employee, and Bateaux Dubai LLC shall not be held responsible to compensate such a guest or have any other liability whatsoever for any such action in this regard. All above terms and conditions are subject to the law of the United Arab Emirates. 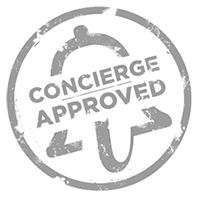 If you need to cancel a booked service, it is mandatory to use the relevant form on the myconcierge.com website (found in your User Profile).